Brookfield Asset Management with its object of long-term investment invests in high-quality assets which include real estate, renewable power, infrastructure and private equity. This strong and varied investment makes Brookfield the leading global alternative asset manager. Its business operations include raising capital for the new fund, managing the existing fund, product development, and client relation. Brookfield is headquartered is in Toronto, Canada and has more than 80,000 operating employees as of 2018. 4) Principal Financial Group Inc.
1. Strong and diverse asset portfolio: Brookfield Asset Management has more than 250 billion in high quality assets spanning over 30 countries. Brookfield has additional earnings beyond its estimates because of the higher return on its investments. They have a very impressive portfolio which includes the world largest real estate portfolio and rapidly expanding private equity. The company has ~$285 billion in Assets Under Management (AUM) managed by more than 750 investment professionals as of January 2018. With an overall experience of more than 115 years with astrong track record with proven investment results, Brookfield leverages its experience and invests its own capital along with its investors to deliver enhanced returns. 2. Strong financials growth and improved earnings: Brookfield source its capital from public investors, private investors, joint venture partners, and lenders. Because of this Brookfield has access to large-scale capital from multiple sources, enabling them to make transactions which their competitors are incapable of. Since Brookfield also invests their own capital in a substantial amount along with the investors separates Brookfield from its competitors. Brookfield uses their strong reserves to fund new strategies and also allows them to co-invest in large acquisitions which have not been secured. 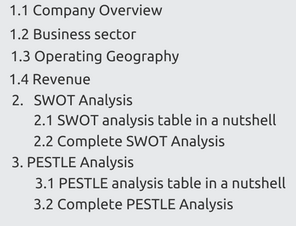 Their fee bearing capital has increased by 12% and fee-related earning has increased by 56%. There new private equity fund is also attracting the huge inflow of capital. 3. Global reach helps in diversifying risk: Brookfield has its presence in more than 30 countries with a very diverse portfolio. Its reach allows Brookfield to manage its risk in the capital market. Brookfield also has a strong local presence in the market it operates and has helped them to operate effectively. The combination of strong local presence and global reach allows Brookfield to develop global relationships and build operational strategies which could make them efficient and help in enhancing the returns. Brookfield has multiple funds which have diversified its investor base. Though it has majority investors in North America of about 57%, its strong presence in the Asian and Australian markets with 23% investor base also gives Brookfield an opportunity to diversify its risk. 4. Efficent and expert operations: Brookfield asset from its employees worldwide has been instrumental in maximizing its value and increase cash flow from operations. It actively manages the asset. With a history tracing to 115 years back, Brookfield has built a strong record of adding value to its operations. They have effectively negotiated property lease, energy contracts and regulatory agreements and optimized asset development and are instrumental in acquiring the business and placing an able and efficient team on the ground to operate them. With 80,000 plus operating employees with Brookfield offering multiple funds and a strong governance has established Brookfield having strong operational expertise. Since the industry has the complex set of regulation, the real operation experience provides an edge to Brookfield in maximizing their efficiency and productivity and ultimately the returns. This expertise is invaluable in underwriting acquisitions and executing development and capital projects. 1. Fluctuations in Foreign Exchange Rates: Potential fluctuation in foreign exchange can adversely impact Brookfield aggregate Foreign currency exposure. A significant weakening of currency where Brookfield have invested significantly will have the material effect on the financial position. Brookfield has been selectively utilizing financial instruments such as credit default swaps and other derivates to hedge a certain portion of their position, but a significant portion remains unhedged which can be exploited in an uncertain market condition. 2. Impact of changes in macroeconomic policies: Increase in interest rate will increase Brookfield's interest costs as they have a number of the long-life asset which makes them interest sensitive. GDP growth and inflation can impact metrics like occupancy in buildings or volume in the transportation business. Change in interest rate would impact Brookfield cost of financing. To mitigate the impact of these exposures Brookfield often utilize financial contracts. 3. Ageing population across major economies: Many countries in which Brookfield operates including US, China, and some European countries are experiencing an increase in the average age among the population. So countries like China which are facing challenges due to the high debt level and experiencing a fast-aging population where its dependency ratio for retirees could rise as high as 44% by 2050. This can cause financial strain on government which can force them to re-evaluate spending, which could further result in slower growth than what we have been experiencing over the past decade. 1. Coping with Cyber Terrorism: Brookfield is reliant on information technology system which is subjected to cyber terrorism intended to obtain unauthorized access to their information and of their business partners, destroy the data through cyberattacks, fraudulent emails, computer viruses and other means which could originate from unknown third party sources or their own employees. There is no assurance that any kind of implemented measures would provide adequate protection and even the compromises in the system could go undetected for a significant period of time. Any kind of breach can cause financial loss, loss of business opportunities or a leak of confidential information, which could in turn negatively impact earnings and results in reputational damage. 2. Technology startups and its impact on the BFSI and real estate sector: Brookfield with its initial defensive approach towards technology has evolved to be a company investing aggressively into tech startup where it is planning to invest $200 to $300 million over next three years in asset management domain, thereby adding value and making them ahead of its competitors. Also the real estate industry was slow to adopting technology but the success of Airbnb Inc. and WeWork Cos. has demonstrated the vulnerability in the traditional property market. 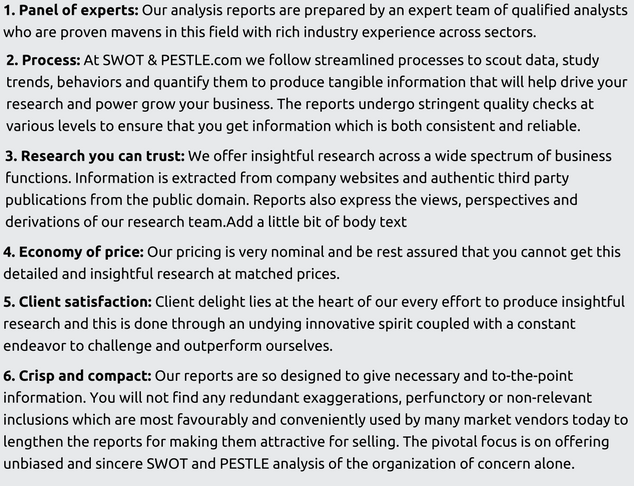 Brookfield SWOT and PESTLE analysis has been conducted and reviewed by senior analysts from Barakaat Consulting. 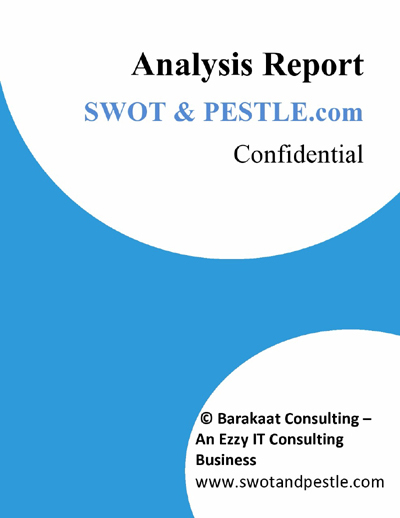 Copyright of Brookfield SWOT and PESTLE Analysis is the property of Barakaat Consulting. Please refer to the Terms and Conditions and Disclaimer for usage guidelines.